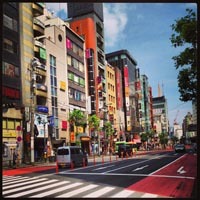 Here you will find an album with the purpose of taking you on the road with Production Design International. 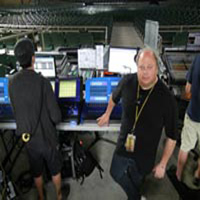 Follow us as we travel the world providing production services to the professional entertainment industry. 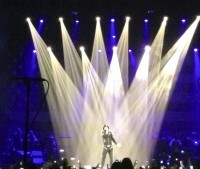 We are happy to say that the current Kid Rock “Rebel Soul” tour is going very well. 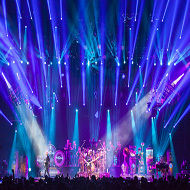 We are currently providing huge laser looks for Nook Shoenfeld (Lighting Designer for Kid Rock). Here are a few photos showcasing some of our new custom built RGB laser systems with full beam and optic tables.